Since 1899 thousands of people have participated in the world’s longest running citizen science project, the Christmas Bird Count. This year, in over 2,000 different counts, people will count every wild bird they can find. 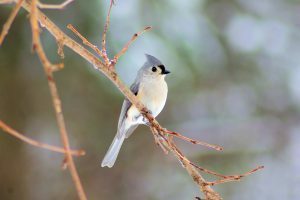 Join the Loudoun Wildlife Conservancy on Friday, December 28 as we participate in the National Audubon Society’s Annual Christmas Bird Count. The results are used to better understand bird populations and dynamics. Everyone is welcome; amateurs are teamed with experienced birders, and every eye and ear helps! The team that covers the Waterford area spends a couple hours on the Phillips Farm as well as a couple of other neighboring farms and also walks most of the dirt roads in the immediate area as well. If you are interested in participating in the count for just a couple of hours or for the entire day, Sign Up Online by December 22 or contact Joe Coleman at [email protected] or 540-554-2542. After the counting is done we hope to meet for a Tally Rally where we will find out what others found and share stories about the day’s highlights.